Holiday events in Dana Point 2012! Posted by Teresa Mihelic HelpDesk on Tuesday, October 30th, 2012 at 7:29am. It's that time of the year again!!! (Really?) And we wanted to already share the activities that we know of that are happenning in the gorgeous city of Dana Point as part of the Holiday Season, with an early start this November 2012. Quick commercial: if you are interested in moving to this wonderful city, and are curious about what's currently listed for sale, visit our Dana Point Real Estate section for information. 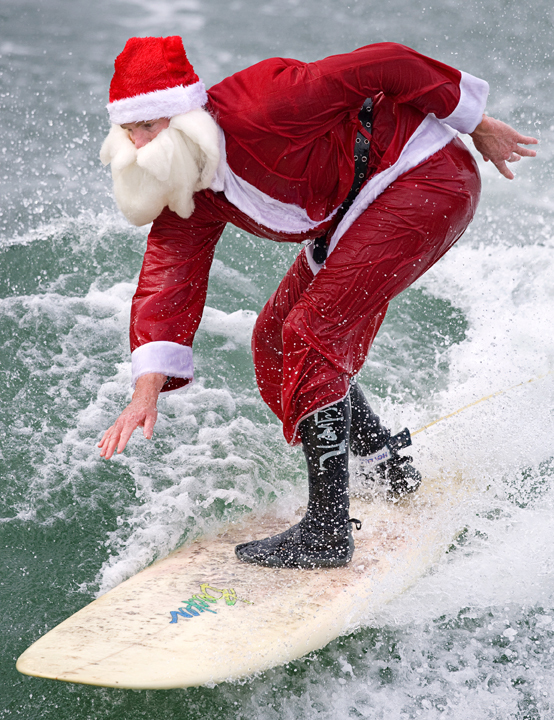 Dress up like Santa, surf Salt Creek and raise money for Surfers Healing and children with Autism. The Third Annual Surfing Santa Competition includes divisions for Santa’s Helpers (15 and under), Santa’s Elves (16-20 year olds), Toymakers (ages 20+), Yule Loggers (open long board), and Flying Rudolph (big air). There is a $1,000 prize for the Big Air Flying Rudolph winner. Entry fee is $40 per person; $50 per person after November 15 and includes the contest and a Surf Swag Bag.$40 per entry; $50 per entry after November 15th. 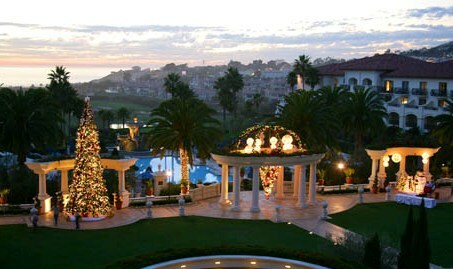 Resort guests and the local community are invited to the annual Tree Lighting at the Ritz Carlton in Dana Point. The festive event includes holiday music and a visit by Santa Claus. Sugar, spice and everything nice. You are invited to come to the resort to see the Holiday "FantaSeaLand" Gingerbread Display at the Ritz Carlton in Dana Point. The pastry team will spend more than 400 hours to create the gingerbread display that will highlight a Holiday "FantaSeaLand" theme. The display is made from gingerbread, doughnuts, sugar cubes, waffles, pretzels, cream puffs, rolls, cookies, crackers, cereal, macaroons, dried fruit, chocolate shavings, candy, candy and more candy. Guests and locals are invited to visit The St. Regis Monarch Beach for this year’s Tree Lighting and Sand Sculpture Dedication. Featuring guest hostess Tori Spelling, festive treats, visits with Santa Claus, holiday carolers and hot cocoa and cider.This year's sand sculpture and raffle proceeds will be dedicated to Make-A-Wish Foundation. Santa will hear your Christmas wishes and is available for photos (bring your camera). The three areas of the Harbor, Dana Wharf Mariners Village and Mariner”s Alley will all host holiday activities geared to families and children. There are many fun activities planned, including photos with Santa, performances by various characters, and holiday crafts, people painting, and a caricature artist. So, bring friends and family down to enjoy the Harbor°s Holiday spirit. Activities start on the grass in front of Harpoon Henry°s at 34555 Golden Lantern, Dana Point Harbor (and Dana Point Harbor Drive). From 10am-2pm at the Dana Wharf Sportfishing Docks, come aboard for a twenty-minute Harbor cruise with Santa and his helpers. Santa will be hearing those Christmas wishes as you cruise the Harbor. Bring your cameras for pictures with Santa. A $3 Donation to the El Camino Real Junior Woman`s Club would be appreciated. What a unique and fun way for kids of all ages to visit with Santa, so dress warm. Location: East end of Dana Point Harbor at Dana Wharf Sportshing docks, 34675 Golden Lantern, between the Jolly Roger and the Wind & Sea. Boats donated by Dana Wharf Sportshing. From 3pm to 5pm, At El Torito Courtyard bring your cameras for a picture and visit with Santa! The City of Dana Point will host this event with many activities like cookie decorating, Santa’s Reindeer, Holiday Craft Fair, Carnival Games, Children’s Petting Zoo, Real Snow Play Area, Tree Lighting Ceremony and Holiday Movie in the park. La Plaza is located off PCH and La Plaza in Dana Point. From 3pm to 5pm at the Dana Wharf, bring your cameras for a picture and visit with Santa! From 2pm - 4pm on the 15th. Saturday, December 15th, 2012: Santa Paws! Theme, Best Use of Lights, Best Animation, Most Colorful, Most Original, Best Sailboat, Best Powerboat and the Perpetual Trophy for the Yacht Club with the Most Entries, along with many other awards and cash prizes! Be part of the parade and enter your own boat, contact us at (949) 496-5794 or pick up an entry form at Dana Wharf Sportshing or online at www.danawharfsportshing.com or www.danapointharbor.com. You can view the parade free from anywhere in the Harbor, or make reservations at the restaurants to view it from a cozy and warm spot. Come on down and enjoy the sights and sounds of the season. ramp 86 veer left. Turn left onto Dana Point Harbor Drive.